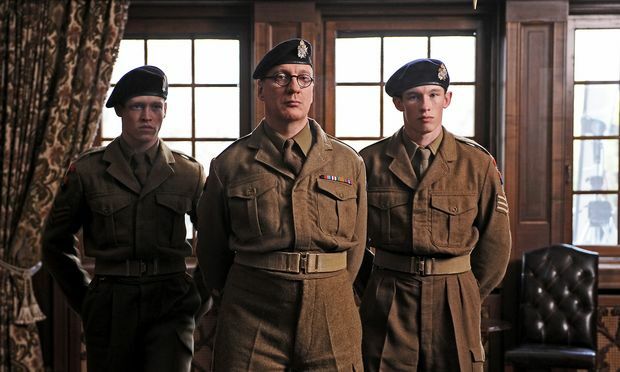 Queen and Country is John Boorman’s follow up to his Oscar nominated classic Hope and Glory – where the first film told a semi-autobiographic tale of his childhood during WW2 through the character Bill Rohan, this sentimental sequel picks up in his late teens when called for National Service in the Korean war. Luckily for Boorman, and his film equivalent played by Callum Turner, his duties consist of teaching recruits to type before they are shipped out to the frontline. The biggest threat to Bill is his pedantic Sgt. Major Bradley (David Thewlis) who has the manual of military offences committed to memory. Bill catches some of his righteous fury when accused of seducing a soldier from the course of his duty after speaking out against the war, and so too does his close pal Percy after meddling with the RSM’s precious clock. By focussing on the pair’s frivolousness antics against the backdrop of a hellish war, Boorman once again explores his own personal, perhaps wilfully naïve, experience – continuing on from Hope and Glory with the same light-hearted whimsy. The film is certainly a comedy with a traditional more campy approach but this later effort edges closer to romance. Where he once sought companionship from local kids rummaging around bomb sites for trophies of shrapnel, Bill now longs for a girl known only to him as Ophelia. Turner is pleasantly understated as Bill, though this may just be in contrast to Caleb Landry Jones who gives a strange and strained performance as his sidekick, pursing his lips and chewing scenery when given half the chance. Aside from this pair, it is the supporting cast who steal the film – Pat Shortt’s professional skiver and David Thewlis’ uptight Sgt Major carry the laughs, whilst Vanessa Kirby adds a dose of dynamism as Bill’s sister back home.